Photobooths provide a level of entertainment nothing else can. In this day and age of #Instagram, SnapChat, and non-stop selfies, a photobooth is the perfect way to keep everyone entertained and capture non-stop laughter! Snap Yourself Silly! Photobooth are fit almost anywhere, have plenty of customizable options, and best of all- won’t break the bank! Our photo booths have traveled all over the state, including Lakeland, Winter Haven, Tampa, Orlando, and even Sebring. Call us today at 863-324-7333 for more information on Snap Yourself Silly! Photobooths! How do I Snap myself Silly? It’s EASY to use our photobooths! 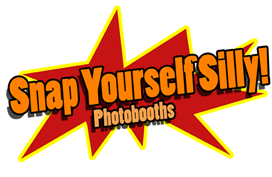 Each photo booth comes with props, a custom footer, a backdrop (standard or custom), and an attendant. All you have to do is pick some props, choose color or black and white and snap away! Our printers are powered by the fastest hamsters in the business fueled by espresso: your prints come out instantly! Should you lose a photo, no worries- we’ll have a copy on our Facebook Galleries for you to download! How much does this Snapping cost? Price varies on a few details: location, hours needed, and extra customizations. For example, we have custom backdrops, full-size photo prints, Selfie Stations (ask us!) and much more. But don’t worry, the price we give you over the phone or via email is the final price. There are no taxes, hidden fees, tolls, or riddles for you to worry about. Each package comes with unlimited photos within the allotted time frame. We serve Lakeland, Winter Haven, Auburndale, Orlando, Tampa, pretty much all of Central Florida! It's time your event had a way for you to Snap Yourself Silly Contact us!